Dads & Kids Join Us for All Pro Dad’s Day! 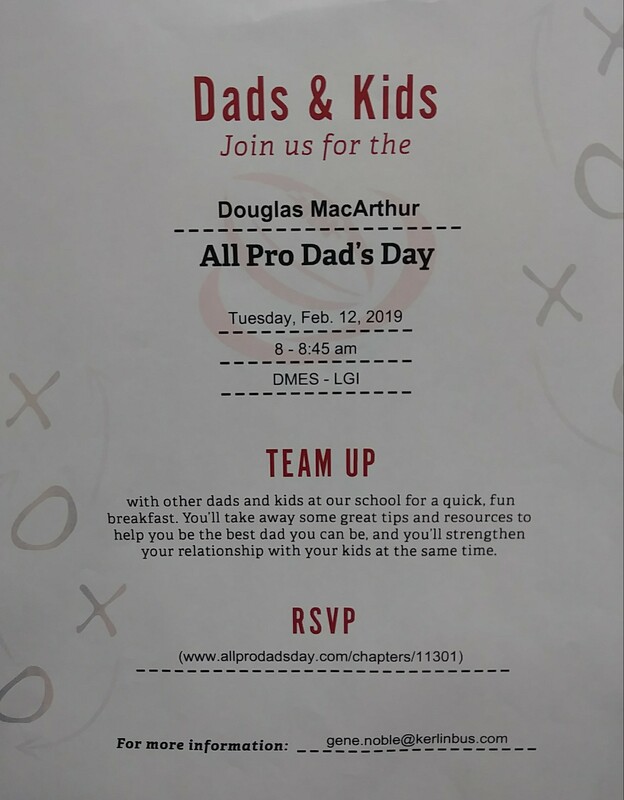 Please join us for All Pro Dad’s Day on Tuesday, February 12th from 8:00-8:45a.m. in the LGI room (by the cafeteria). Team up with other dads and kids at our school for a quick, fun breakfast. You’ll take away some great tips and resources to help you be the best dad you can be, and you’ll strengthen your relationship with your kids at the same time.